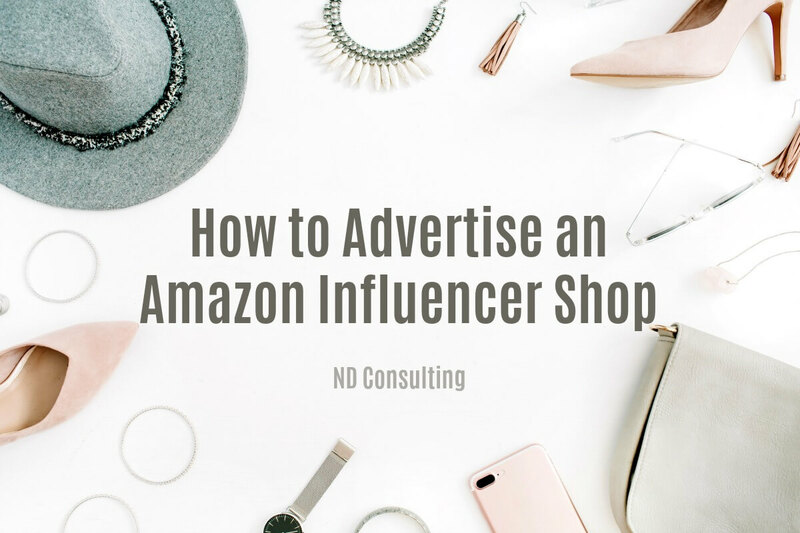 We are sharing all the ways to advertise an Amazon Influencer Shop. From emails and social, to funnels and menu options, you can earn with this program! Before we get started on marketing your influencer page, make sure it’s set up correctly. Read this article to make sure you have everything straight because now it’s time to make some money. First, let’s talk about things you cannot do to promote your Amazon Influencer shop. Amazon’s hard-and-fast rule of no transitional pages applies to the Influencer Program as well as the Amazon Associates program. This means you cannot gate content behind a popup advertising your shop or create a path which takes a user from a content page to a shop page before sending them onto another page on your website. Don’t do this because if you DO happen to earn any money from this practice, you’re going to get your account shut down. They will not give you any leeway. Additionally, do not compete on ads using anything with the Amazon name. Big no-no, friends. 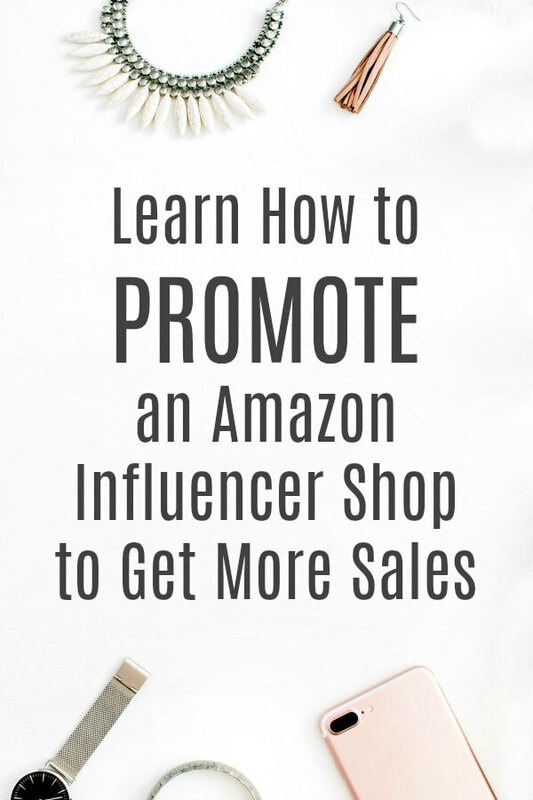 Let’s get to the good stuff and learn how we can promote our Amazon Influencer shops! Obviously, this is key for any affiliate marketer. Create interest by detailing how an item solved a problem, made your life easier, etc. If you “sell” the idea of the product, you’re more likely to sell the product once you’ve secured the click. You can create a nav bar option for your shop to automatically open to your Amazon Influencer page. Additionally, you can create a nav bar drop down for all the different Idea Lists (shop sections) within your Influencer shop. This is especially useful if you are blogging about specific categories. Check out what I did for this site. It was really easy and there is a tutorial at the end of this article. 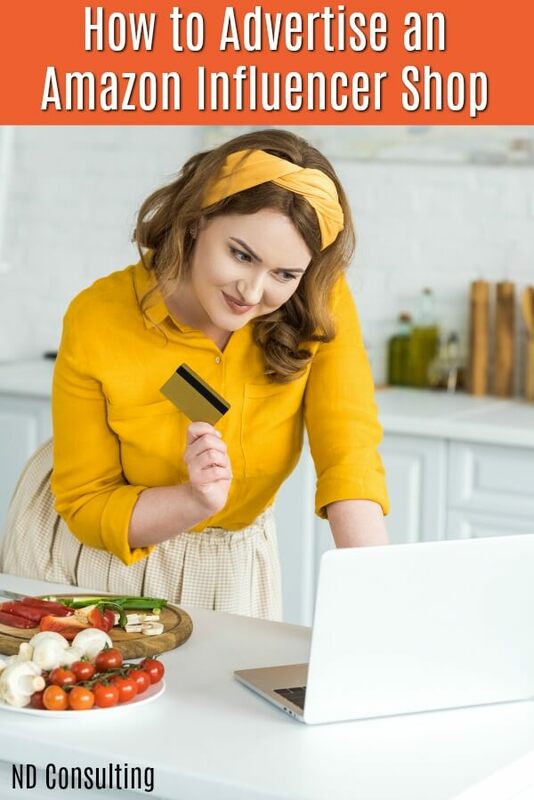 When there are special events, such as Amazon Prime Day, Black Friday, and Cyber Monday, be sure to have a note on your top performing affiliate posts. To find your top performing affiliate posts, go into your affiliate dashboard and select, “Content Insights.” Run your report – note you will have to choose a time frame and your website. Export the report and find your top-referring and earning posts (they could be different). Oldie but goodie – the sidebar can be invaluable if you have a decent amount of desktop traffic. PRO TIP: To increase conversions be sure to implement custom sidebars (article link). If you’d like to create in-post ads, remember you cannot use the Amazon logo or any of their images. 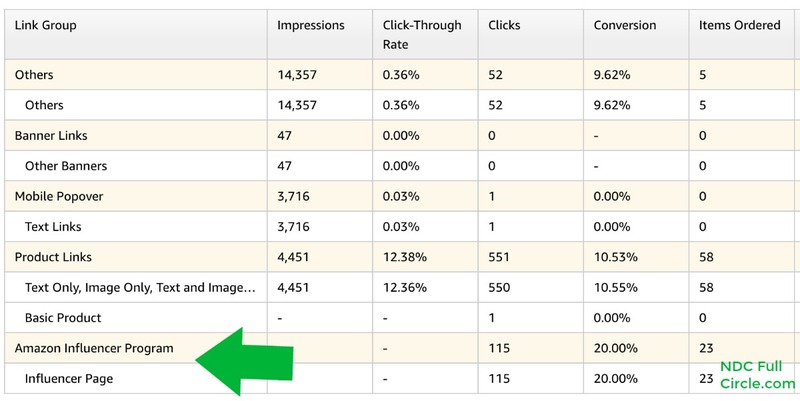 You can, however, create your own 728 x 90 skinny horizontal or a larger ad (square or rectangle) to get clicks. Note: if you are earning well with your RPM, this might not be the best practice for you. For those who do not have an ad network, try creating an ad to share in between paragraphs of your content. Yes, you can. Facebook, Twitter, YouTube are all fair game. As mentioned in How to Set Up Your Amazon Influencer Shop, you do not have to disclose on social. Be sure to read that article if you haven’t yet – it’s full of tasty tidbits like that. at the end of an email (PS section works well). within the content to help with purchasing supplies for an activity or something which solved a problem for you. in your header image – if you use one. Use this as sort of as an announcement of your “shop” opening on Amazon. Note: you cannot use the Amazon logo. Some of the highest opened and clicked emails in any content creator’s funnels are the first couple of emails. 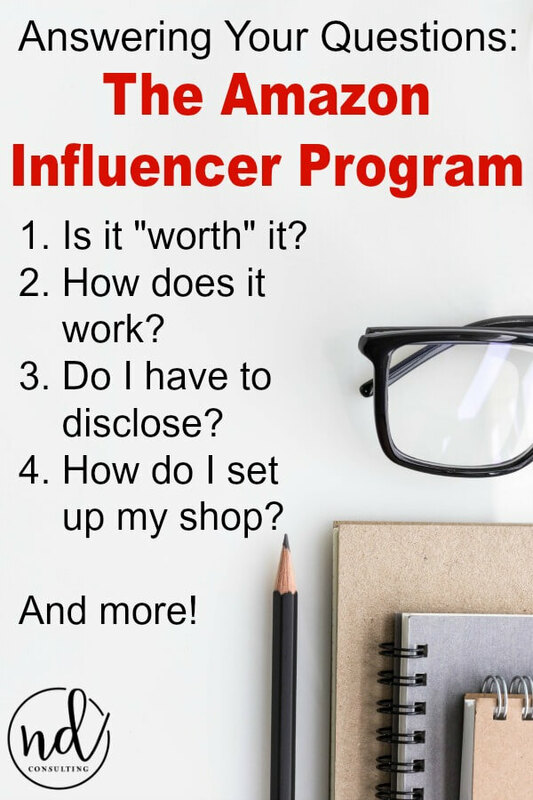 Be sure you mention your shop, especially if you create and share activities, DIY tutorials, how-to’s, or anything which requires a supply specific to your topic. Every niche, every website, and every blogger will be able to create a list of products they use and love. Yep, you can put the shop on your business card. Be sure NOT to cloak the link – Amazon hasn’t traditionally been a fan of that, so avoid it. If you attend many conferences or meetups or you put on in-person events, this is a great way to advertise an Amazon Influencer Shop. Do you receive a lot of emails from readers or other influencers? Be sure to add a link to your Amazon Influencer Shop within your email signature. Check out our newest obsessions! Stuff I can’t live without. I’ll be adding to this article as I discover new, effective ways of earning from the Amazon Influencer Shop program. I am answering all of your questions about the Amazon Influencer Program – firstly, can you really make affiliate income with it? The answer is yes and I’m telling you how. In a few moments, I had added a few items and found it to be clunky. I also requested the ability to categorize the products I added (many times) and Amazon hadn’t yet implemented this feature. I forgot about the Amazon Influencer Shop I set up. Forgot about it completely. One of my Amazon influencer shops was actually making sales! A good number of sales! 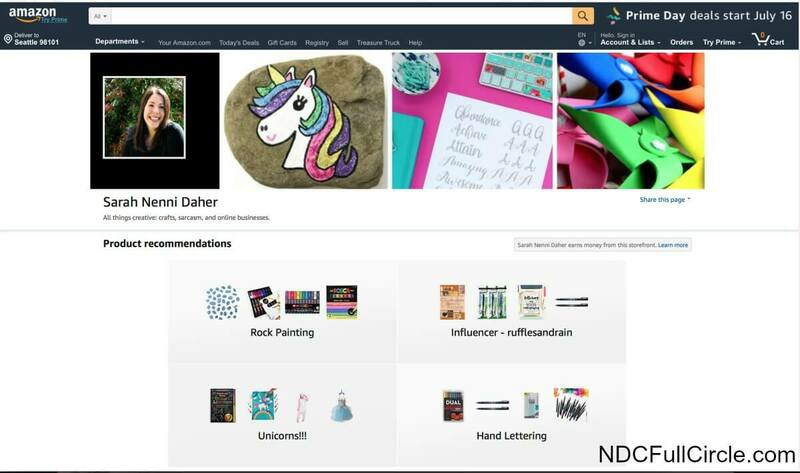 What is an Amazon Influencer Shop? Click here to see an example of an Amazon Influencer Shop. It’s clean, streamlined, and most importantly – it’s set up to make you affiliate income! 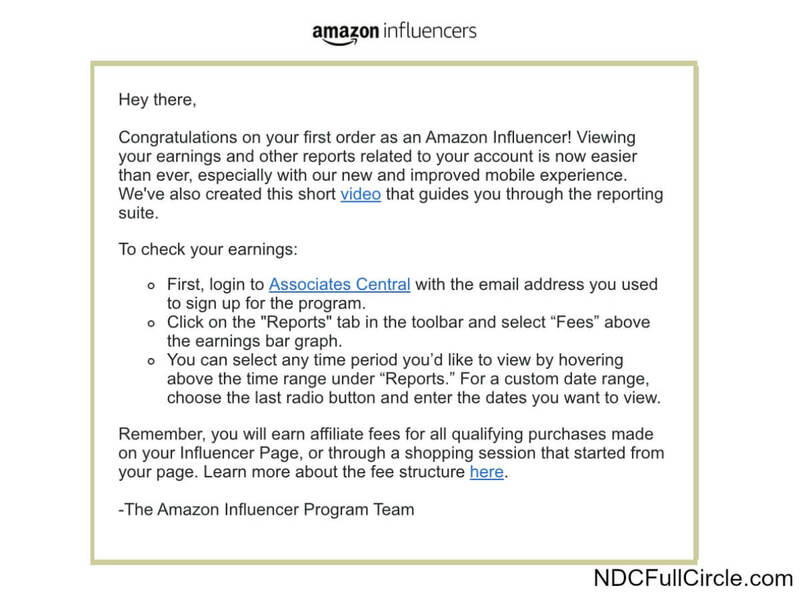 If you’re not yet familiar with the Influencer program with Amazon, it is different than being an affiliate. you can share the shop link in emails! Log into your affiliate dashboard and look for the Influencer tab. If you don’t have it (you should), email affiliate support. Fill in your information (social channels, for example), add your profile image, and a header (if you like). For the Amazon Influencer Page header, I used PicMonkey to create a 1400-pixel x 300-pixel collage for mine. For Ruffles and Rain Boots, I talk about quite a few crafting topics: hand lettering, rock painting, etc. In order to send the appropriate group to the appropriate list, I have created categories. See my shop here for an example. Add Items to Your Influencer Shop. Add items by selecting your influencer shop tracking ID and add the item to your influencer shop lists (like a wish list). Be sure to choose the right one. Then, go into your list and add comments on each product, if you wish. Remember when I said you could use the Influencer Shop link in emails? Get to it, friend. You can also send them to your shop from any blog post, social media platform, and even share the link on your business card or email signature! Wanna know something else? You don’t *technically* have to disclose before you send them there. Whaaaaaat??!??! If you check out my shop, you’ll see a little note that discloses for me. Oh. Yes. I do still disclose, but it’s up to you. Additionally, you can see in the reporting section to see if your Amazon shop is making money (and which category is making the most). Do you already have an Influencer Shop on Amazon? 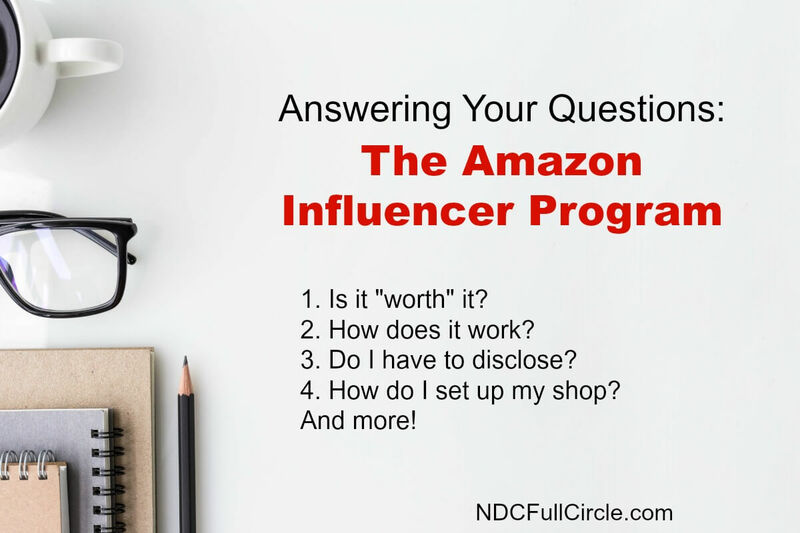 How is the Amazon Influencer Program working for you? What are you doing to promote your shop? What kind of analysis are you doing to position yourself for more affiliate income from Amazon?